As an intern at BEST Human Capital & Advisory Group, and as a student at Indiana University, I have experienced a wide range of career courses, internships, resume workshops, and interview processes. The following is a guide and helpful tips to use when navigating the post-graduation world with a focus on entering the professional sector. Colleges have many resources available to their students for career-specific use including workshops, cover letter help sessions, mock interviews and more. At Indiana University, students like myself are required to take career courses before they can graduate. As one goes through this process, which can be seen as a waste of time by many, one thing that becomes apparent is that you are in competition with thousands of your fellow classmates. However, this competition should not be seen as a barrier but added motivation to take your game to the next level. It is important for students and newly minted professionals to hit the ground running. The current economic market is in need of young professionals, especially with unemployment at historic lows. Although many companies send recruiters to universities, there are countless other options to pursue. Time should not be wasted contemplating. Rather, it should be spent with “boots on the ground” strategies to begin searching, applying, and interviewing for positions. Although intimidating, the professional world offers immediate feedback. It is ultimately up to you to use your knowledge and skills to find a position that fits your needs and the needs of the company. As a new college graduate, it is important to make sure you are up to date. This entails having your resume ready to tailor to any position with your latest experience, skills, and related information presented appropriately (See our post on Resume Writing). Young graduates should also make sure to leave their sweatpants in the dorm and make sure they are fully stocked with professional clothing (a nice interview suit at the very least). These seemingly small preparations can make the job search process much less intimidating. LinkedIn also plays a key role in young professional lives. As graduates enter this new world, their names are a blank canvas. There is often little to no knowledge on a young professional, other than what is listed on their resume or social media (and it is important to keep your Facebook, Twitter, Instagram, Snapchat and other media clean). LinkedIn provides employers an excellent resource to find more background information on a potential job candidate. Thus, new graduates need to have their information current on LinkedIn, along with a relevant professional picture (head shot) to post on the profile. If you can afford it, look into LinkedIn Premium and start building connections. Being up-to-date on LinkedIn is important for employers since it is often the first place they look for more information and is also a critical first impression outside of your resume. Initial searches can be done on your school’s career center website, via Google, Indeed, and other search sources, or via your network that you have built through connections. A wonderful source of job postings is available on LinkedIn, where you can easily apply for jobs as your information is already up to date. Throughout my search I had specific roles and organizations in mind. I never ruled any position or organization out of the realm of possibilities, but this can be challenging and extremely time consuming. It is important to keep the competitive motivating factors fresh in your mind to keep you moving through the entire search and open your mind to opportunities you may not have previously considered. Do your due-diligence on researching a company, not only on the job post, but also the company’s website and its employees. 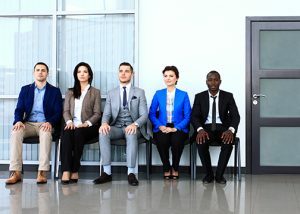 As discussed in a previous post, websites such as, Glassdoor.com, Careerbliss.com, LookBeforeYouLeap.net and Vault.com are excellent resources to use when examining a company, its culture, its interview process, structure and background. By examining companies as a whole, I was able to sift through hundreds of postings to narrow my list of interesting internships to ten. After that, I had to delve deeper into the companies to find what was ultimately the right fit for me. It is common for young professionals to hit a wall when trying to decide which of these positions to apply for. I could have applied to all ten positions. However, I would risk being overwhelmed by multiple hiring processes, which would lead to the creation of generic cover letters and other bad habits in the application and interview process. Instead, I focused and began reaching out to my shortlist of companies and organizations in search of who was hiring the specific position I was interested in. At the very minimum, I would get a name to address my cover letter to, and with further digging, I would be able to open a line of communication with the person who had the power to potentially hire me for the position. It is vital to open a line of communication and begin a relationship with the company of interest to get a better feel for how they operate. Doing this made it easy for me to construct a tailor-made cover letter, which is becoming a lost art, specific to the organization or individual I had been interacting with. I could also alter my resume specific to the position and the company after I had spoken with someone inside the organization. In my case, the communications and personalization of my documents were convincing enough to get my foot in the door and obtain an interview, which is really the purpose of a resume and cover letter. After steps one through three, you are either one of two things: exhausted or excited. If exhausted, now is the time where it becomes important to draw on those past college experiences to gain motivation and recall those ho-hum mock interviews, which was rare practical knowledge we learned while attending college. During the actual interview, your appearance and attentiveness will be taken as a positive signal by the interviewer. One way to improve your attentiveness is to have several questions prepared to ask the interviewer, which also shows your interest and desire in the position. Another great way to form questions and convey interest and attention is to listen deeply to everything the interviewer says. You should be highly receptive when discussing the company’s background and practices. Doing this will undoubtedly lead to holes which you can fill by asking questions when prompted to do so. The idea is not to cross-examine the interviewer, but to show interest and obtain some valuable information along the way. This on-the-spot technique is critical during phone interviews as well, as there are often surprises that you were not planning on until you answered the phone. Also critical in phone interviews is your tone (smile and stand while on the phone), and the breadth of your answers. “Yes” and “No” answers don’t exactly breed conversation, which is what you want to do to create a connection with the interviewer. Avoid trying to fit yourself into a preconceived notion of what you feel the interviewer wants to hear as there is nothing wrong with being yourself and conversing in a comfortable manner. There is no reason to act better than yourself or portray someone that you aren’t. Professional and comfortable is acceptable. You can have a great interview but leave a poor impression when you do not take the opportunity to ask questions at the end. Asking about your application and to give a critique of your interview will endear employers to you, as it displays your willingness to admit fault and improve yourself throughout your career. The worst that can happen is to learn what not to do or say on your next interview. A final step in leaving a lasting impression that is often overlooked by young professionals, who are so excited to just be done with the process, is that they forget how to stand out from the rest. A personalized thank you note written to every individual who you came into contact with at the company will do wonders when being considered for the position. In the email or written note (if possible), make sure not to work off of a template. Instead, craft each one individually and do not be afraid to ask for pointers and tips from those who you communicated with. I have been told that these thank you notes have separated me from other candidates. It is important for college students seeking internships and newly graduated professionals to keep in mind that the competition within the university walls can be fierce and serve as motivation. However, the competition that truly matters happens within oneself to promote self-belief. Improvement opportunities can be found outside of the classroom and job setting. The competition and pride within oneself should be enough inspiration to propel them to success and find those opportunities to grow. Prepare, research, communicate/network, be professional and leave a lasting impression. You can do it and good luck in your search! EDITOR’S NOTE: Ben Molenda has been an intern at BEST Human Capital & Advisory Group since early May and will be heading back to finish his studies at Indiana University in the Fall. As recruiters, we were presented with many fine candidates and put them through a thorough interview and hiring process, but Ben separated himself from the rest. A personal phone call up front to introduce himself, a personalized cover letter, a thorough understanding of our business (background research), his professionalism (suit and tie) and poise in the interview, and the questions he asked all made strong impressions. His personalized thank you notes sealed the deal. Coupled with his performance since he has been on the job, Ben has a bright future. If your company is ready to strategically address, improve and invest in the hiring of the most important part of any company – it’s people— please contact us today! News & Insights from BEST!